Abbey took baby Sophia to the hairdresser with her this week. 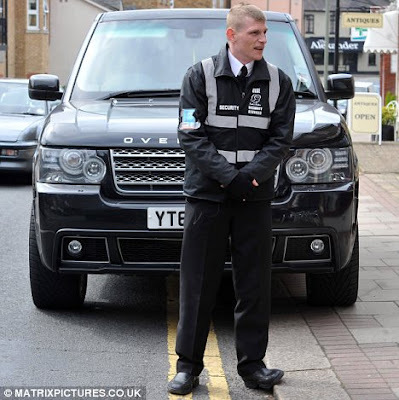 She got a security officer to man her Range Rover Overfinch. Brilliant. All hail the infamous Paparazzi!! !